What makes it special? 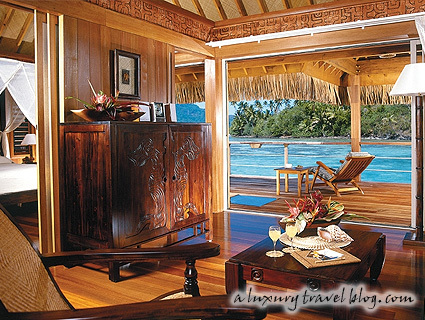 The resort reflects a perfect balance between Polynesian authenticity and refined luxury. Suspended between crystal waters and limitless skies, the Bora Bora Nui Resort and Spa is nestled in a sacred cove of white sand and majestic lava rock. Incomparable in its balance of authenticity and luxury, the Bora Bora Nui offers a unique combination of Polynesian tradition and sumptuous comfort. The 120 luxury suites & villas at Bora Bora Nui Resort & Spa are located on 16 acres of lush & terraced land overlooking a private cove of crystalline waters. The importance of Motu Toopua within Polynesian mythology is echoed through the authentic artefacts, decorations, and landscaping. The indigenous feel of the property is delicately offset by the luxurious oversized interiors of the suites and villas featuring marble tiles, exotic woods, and precious Tapa cloths. 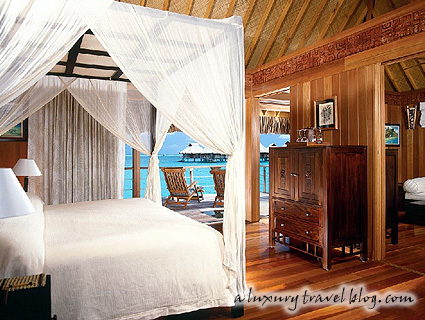 Everybody should have the chance to stay within an overwater bungalow someday in their life! Bora Bora is a special place!